We're also looking for reports from Raw tonight in Houston with dark matches and Main Event matches. David Finlay & Katsuya Kitamura vs. Lance Archer & Davey Boy Smith Jr.
Smackdown and 205 Live are also being taped from the Toyota Center in Houston. A preview and an update on Survivor Series is the lead story in the new issue of the Wrestling Observer Newsletter, looking at that show and the Takeover show. Look at Conor McGregor's behavior at the Bellator show in Dublin, and the tricky position punishing him is from all sides because of the money he generates. Also look at the fight out of left field for McGregor that people are already knocking heavily but would do gigantic business, how this may have already cost UFC a major main event. The renewal of Lucha Underground, what is expected to change, notes no decreasing costs, and why some talent is happy but a lot of talent is less happy about this news. Also look at the Arolucha promotion, who is involved, when it's scheduled to tape, and how the renewal of Lucha Underground greatly impacts them. WWE is in India, what the show cancellation and Jinder Mahal title loss means, the business in India, and claim of biggest match ever in India. Read about Daniel Bryan's statements about returning to wrestling next year, and more on CTE. Take a look in depth at the economics of WrestleMania, how many tourists came to the show, how much tourists spent in Orlando and just how much more important WrestleMania is for a locale than even a few years ago. Examine the James Ellsworth cut, lots more on the Ric Flair 30 for 30, John Cena movie, update on WWE U.K., Chris Jericho cruise and 2018 schedule, the Randy Orton/Kevin Owens twitter back-and-forth, reaction to Owens & Zayn being sent home, Starrcade notes, Notes on indie asking price of a WWE wrestler just cut, injury updates, the next U.K. TV tapings, former WWE star talks coming out of retirement, as well as the current company value and most watched shows on the WWE Network. Rodney Anoia, who was the heaviest superstar in the history of pro wrestling and a two-time WWF champion under the name Yokozuna, passed away suddenly on 10/23 in a Liverpool, England hotel room a few weeks after his 34th birthday. Anoia was the most successful of the huge Samoan clan of wrestlers started by Afa & Sika Anoia, his uncles, when they began wrestling in the early 1970s. He was one of the biggest stars in the business around the world during his WWF run, which lasted from late 1992 through 1996. Several friends of James "Kamala" Harris, have asked people to pray for him as he is hospitalized and one friend on Facebook said he was on life support. The advances for Raw & Smackdown in Houston were not strong at all. Similar to NXT. It's easier for the crew to work four shows in the same building and live gates aren't that important to business, but the idea of four shows surrounding Survivor Series in one market and getting a lot of people to travel didn't work out that well. Last night's show was a legit sellout but it was the only one of the four shows to have a high ticket demand. WWE Survivor Series was the sixth most searched for term on Google yesterday with 200,000. That's normal B show levels. For a comparison, most of the UFC PPV shows this year that did in the 200,000 buy range were hitting 500,000 on searches. It was way below the other big three shows. 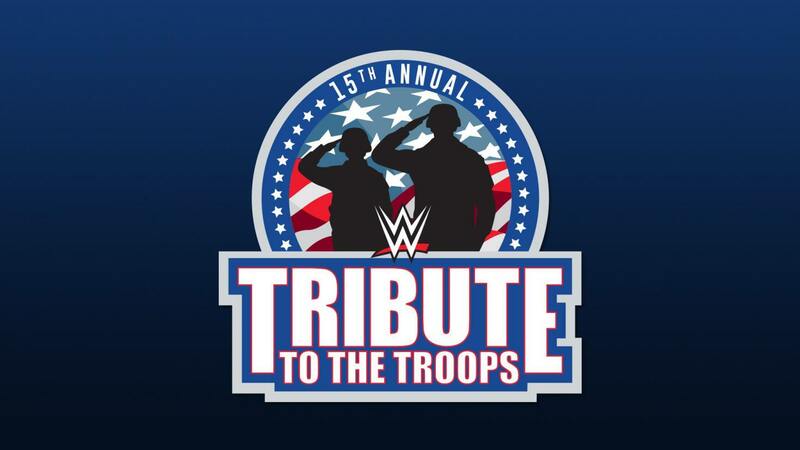 Regarding the Tribute to the Troops show, they will be shooting a two hour show at the Naval Base San Diego in the early afternoon and then shooting Smackdown live later that day at the Valley View Casino Arena with a 4:40 p.m. start local time for another three hours of shooting. The early afternoon show is exclusively for those in the military and will have no admission price. 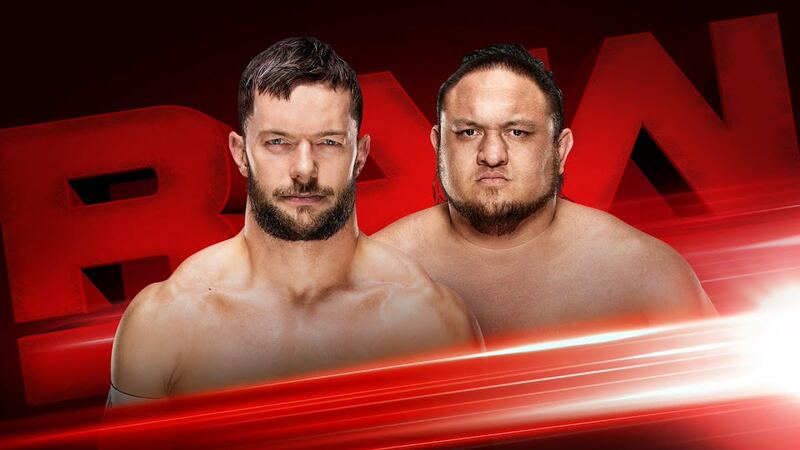 Currently scheduled for Raw tonight is a Finn Balor vs. Samoa Joe rematch and Braun Strowman destroying Jason Jordan. There could be Smackdown stars on the show tonight because there is no Smackdown house show and they are all in Houston anyway, and many are backstage. Brock Lesnar and Paul Heyman aren't scheduled for the show. Regarding the term "Superkick" party, Matt Massie (Matt Jackson) registered the term for clothing in 2015. That doesn't prevent WWE announcers from using the term, like Byron Saxton did last night. It only means they can't merchandise the term for clothing. Punishment Martinez won the six-way Survival of the Fittest ROH match in Oklahoma City last night, meaning he should get a shot at the ROH championship shortly. Yoshitaka Naito defends the One strawweight title against Alex Silva on 12/9 in Bangkok, China at One Warriors of the World at the Impact Arena. MLW and PC Games Publisher Strategy First, Inc. announced a cross-promotion partnership for MLW Never Say Never on 12/7 in Orlando. The company will both be a sponsor and the broadcast will feature Flatout 4 Total Insanity and have opportunities to purchase the game at a discount price. They also closed a deal with Totino's. More on that is here. Octagon vs. Fuerza Guerrera will headline a show on 12/17 in Los Angeles at Leonardo's H Park. Volador Jr. vs. Jack Evans in a singles match takes place tonight in Arena Naucalpan for the Lucha Memes promotion. Pro Wrestling Ontario on 1/20 in Burlington, ONT at the Lion's Club. Fresno State wrestling returned for the first time in 11 years. More than 6,800 fans attended, outdrawing most WWE and men’s basketball events. David Taub writes for GV Wire, based in Fresno.